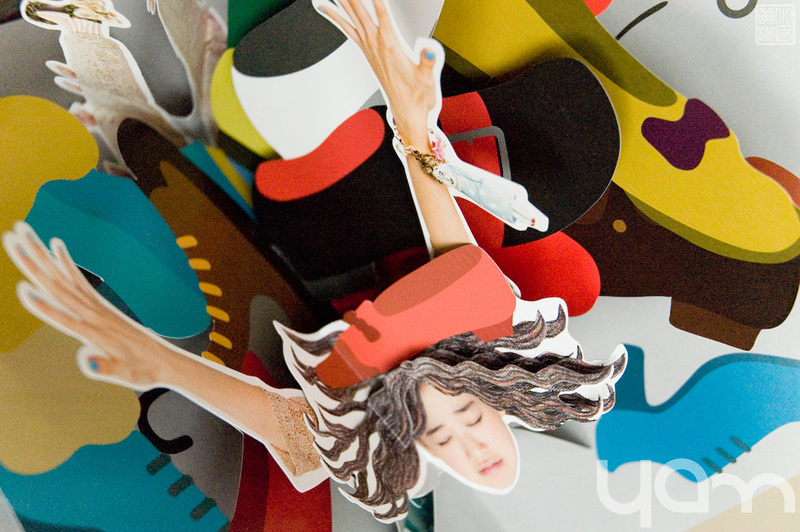 Presented in a Yu-Aoi-faced hardcover book of six pop-up art pieces, Uso. — or Lie. 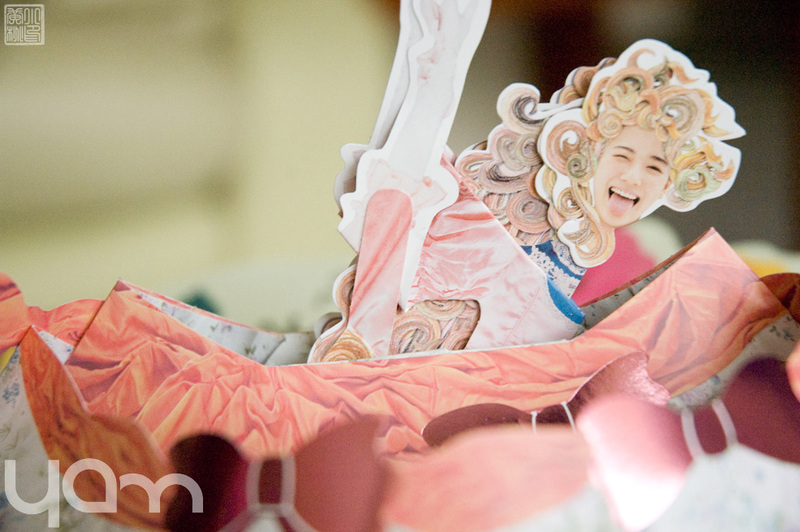 — is just a simple pop-up book that highlights the team behind the project, instead of the idol. With art direction by Hirano Atsushi (平野篤史), styling by Yoko Omori (大森 よう子), hair & makeup by Eri Akamatsu (赤松 絵利), and photographs by Osamu Yokonami, Uso. 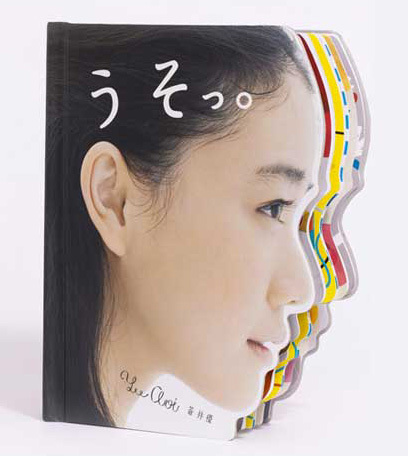 plays on the theme of lies, which seems to be a fixation on Aoi’s part – she also participated in Camouflage, also known as Yu Aoi x 4 Lies. 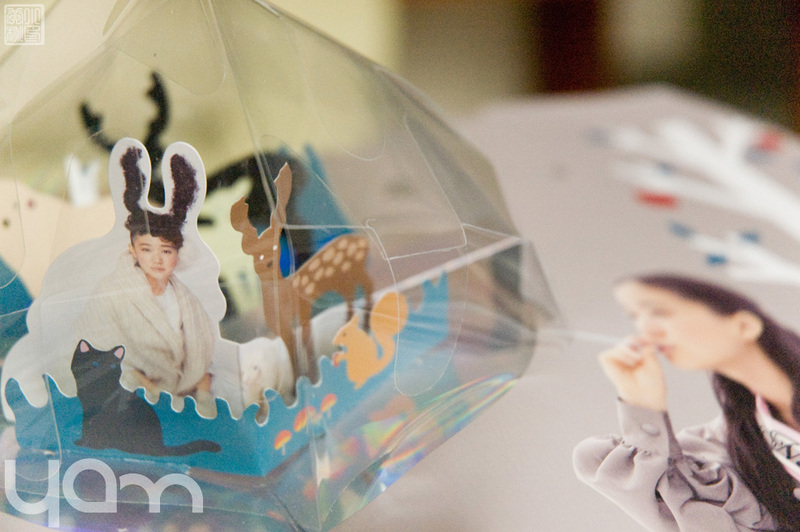 We’re not entirely sure, but this could be the first time an idol has ever released a pop-up book, instead of a regular photobook, which is in itself highly ambitious. Add to that 3D-glasses exhibitions in Shibuya and Nagoya, and we’re talking about another level. However, what Uso. lacks is going beyond the “this is cute” factor. I really think the book needed a short story to keep it together. As it stands, the art in the book is just very nice and elaborate pop-up pieces featuring Yu Aoi, which isn’t to say that is bad. The idea behind this is original, the execution is great, the book is different, but it could have been an instant classic with some actual storytelling.